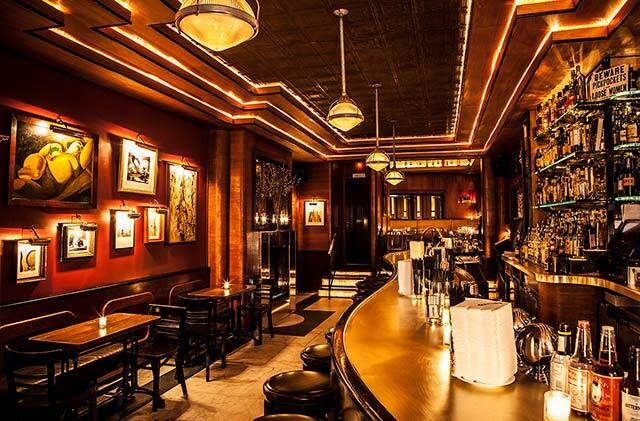 Warm Up This Winter at These Bars with Fireplaces in NYC | thirsty. We have finally accepted that it’s officially winter and that means bars with fireplaces and lots of cocktails. 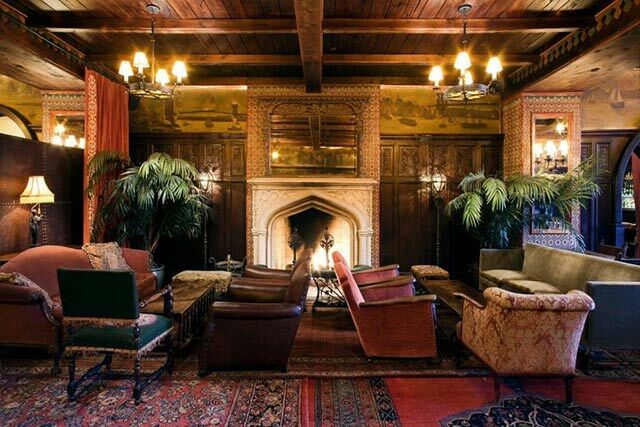 Here are the top bars with fireplaces in NYC for your enjoyment. Don’t worry – your face and toes will thaw out in no time, thanks to the flames and a couple of drinks. 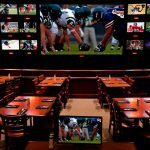 They also have cheap eats, drinks and a number of TVs behind the bar. This wine bar offers European vintages and small plates. This is a great place to warm up right off of the highline. Warm up by this 16th-century stone fireplace. The fireplace is tucked inside of the library just a few steps past the bar. They have great cocktails, rosé all day program that launched in Spring of 2016. This cash-only bar has a huge patio with a fire pit, where you can enjoy one of the many craft beers that they serve. This former shoe store turned premiere cocktail bar. Order one of their classic concoctions and head to the backroom to sit by the fireplace. This dive bar has a good happy hour, a jukebox and an electric fireplace. Enjoy the Pacman, Golf and Buckhunter while you are there. They serve a Persian-inspired dishes and craft cocktails. They have a good happy hour. They have $15 brunch on the weekends. The also have a pool table, BOGO happy hour and if you are adventurous the Drunken Coconut. The have a 2 for 1 happy all night on Sunday and Monday and until 10pm every other night of the week. This Scottish bar has a 2-for-1 happy hour and armchairs to enjoy the drinks by the fireplace. This is a 2-level British pub where you can watch the game, play pool or just have a drink at the bar. The bar is on the second floor and a little hard to find. 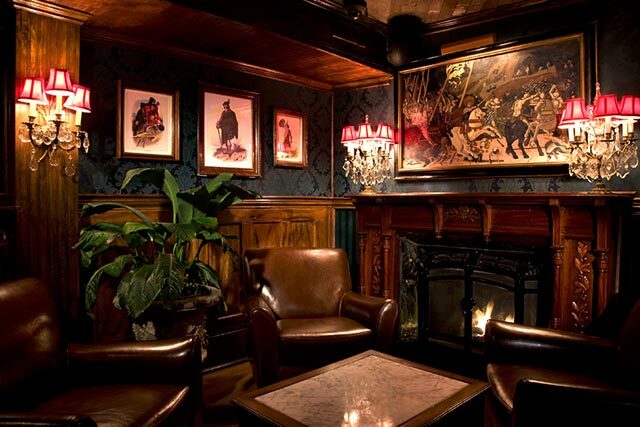 This is a good after work spot with multiple fireplaces right off of Union Square. 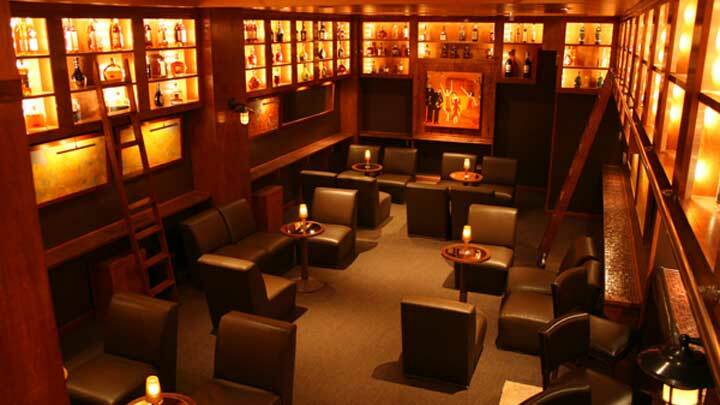 They have over 750+ brown spirits, live jazz shows and a Whiskey School that is designed to continue taste development. They have a both a fireplace, garden and $8 wine flights. A traditional Irish pub with sawdust on the floor, a wood-burning fireplace and good food. We love a hotel bar. 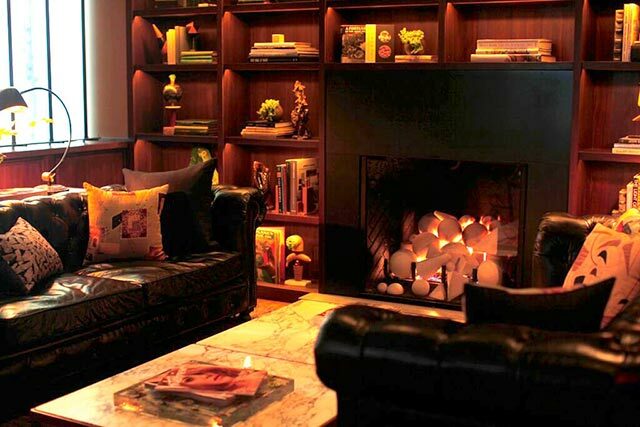 And Rose Bar at Gramercy Park is one of the best rooms in NYC, with high ceilings, stunning artwork and a woodburning fireplace. They have an excellent beer and wine list and a cozy feel that makes this a great date spot. 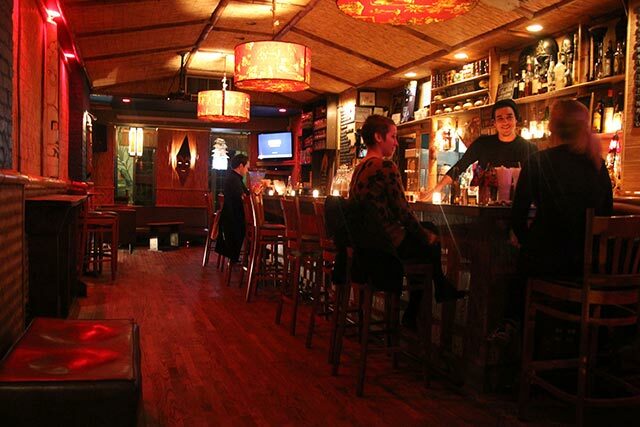 They are a tiki bar with outdoor patio and games. Drinking tiki in the winter is one of our favorite activities. Get a pint and either hang by the fireplace or get involved in one of the theme / trivia nights. This is a local bar with 20+ Irish Whiskies and 10 beers on draft. Thursday nights are trivia night. This 6,000 sq. ft. industrial space has an outstanding beer menu and German food. They recently updated their menu to include a chicken thigh sandwich, peanut butter burger with tots. Drink from their huge selection of craft beers on tap. They have 20+ craft beers on tap and elevated bar food, brunch specials on the weekends. They have TVs tuned to sports and a pool table upstairs. They have a number of beers on tap, a large outdoor space and live music or trivia depending on the night. They one of only two speakeasies that operated during Prohibition and are still open today. Come in through a toy company and drink Prohibition-inspired cocktails and beer in paper bags. If you want to get a place by the fireplace you need to arrive early or be really lucky, either way you can warm up with a negroni or hot toddy by the fireplace. This is our first choice if you are on the Lower East Side. Dimly candle lit restaurant that serves central American cuisine and strong sangria. Lots of TVs and craft beer with 42 rotating craft beer lines. Indoor/outdoor rooftop lounge at the Library hotel. This is a good date spot if you are in Midtown/Murray Hill. This is a proper Irish bar with TVs with Sports and a fireplace. They have lunch specials that start at $10. This is a great spot for after work drinks if you work in Midtown. Tavern like British gastropub serving craft beers on draft and cocktails in the basement of the William Hotel. Get the warm cask ale and a spot by the fireplace. Located inside of the Royalton hotel, they have awesome cocktails in a upscale environment. Come for drinks after work and order one of the craft cocktails. They have legit cocktails. The bar is hidden inside of the Iroquois hotel. This is a good spot after a show or if you happen to find yourself in Times Square. The ambiance is cozy, with the 19th century decor. A decent wine list and 14 beers on draft. This is great spot to chat over drinks. Also close to MSG and Penn Station. 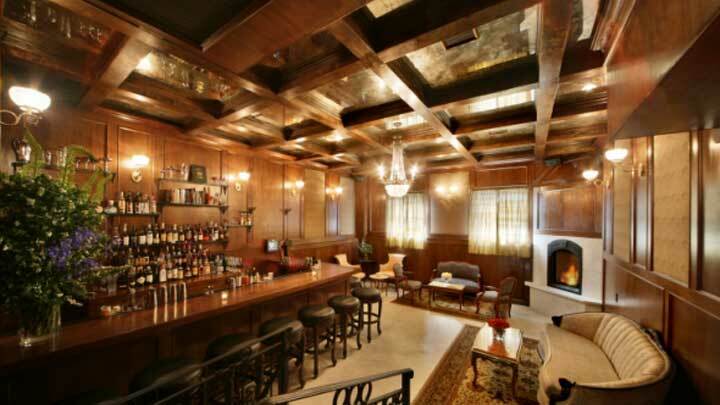 Dating back to 1903, the lobby bar, The Liquor Cabinet, was designed to resemble a NYC townhome. Order the Bourbon-Spiked White Hot Chocolate and grab a seat by the fireplace. 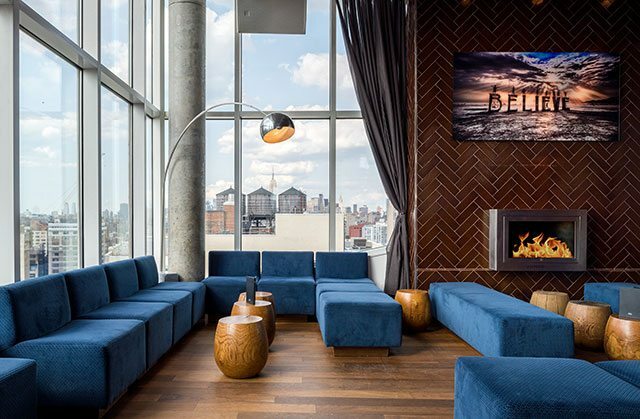 Not only do they have a fireplace, the bar is also located at the top of the Refinery Hotel. This winter they are featuring a Old Fashioned menu inspired by John Wayne films. They have a dozen beers on tap, retro-inspired cocktails and American fare. Try the Mac’n Cheese and the burger. Stay for the live music. 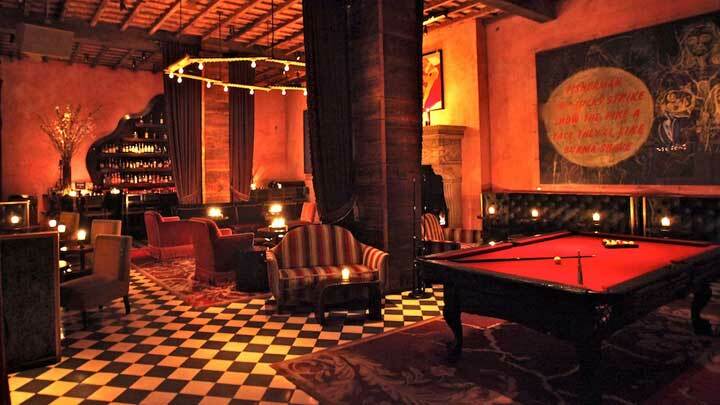 They have a full bar downstairs and two indoor bocce courts and a bunch of nooks to hideaway in. Dancing downstairs on Saturday nights. A cocktail bar on the roof of the James Hotel with indoor and outdoor seating. The bar features cocktails designed by John McDonald, Jason Pomeranc, and Steven Eckler. Order the Sixty Stormy and then head to the fireplace. The fireplace is located in the dining room of this bi-level townhouse. Great date spot with strong cocktails. They have a fireplace and a huge selection of Whiskey and Bourbon. 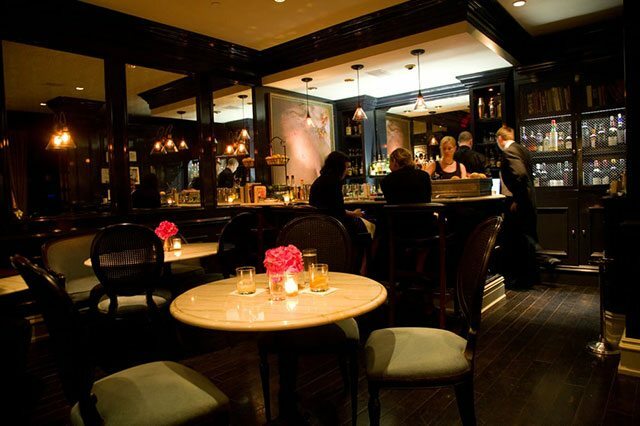 A chophouse with a great wine list and celebrity clientele. Dimly lit back room serving cocktails and bar food. A staple for over 20 years. A large selection of microbeers. If you don’t like beer then go somewhere else. They serve American-Irish fare, with sports, beer, and a busy but not crowded vibe. This a WV institution. This speakeasy Come for the Mata Hari cocktail and stay for the chicken noodle soup. Pair the modern Italian food with apertives or something off of their long wine list. This is a German beer house with an outdoor beer garden. Order the $5 wurst sandwich. This is a West Village staple with strong drinks and oysters. They offer a wide variety of options to choose from. They have an ever growing Whiskey list. This is a good hideaway with the chairs and sofas next to the elaborate fireplace that was salvaged from Belgium. Order the Hellfire + Brimstone and grab one of the tables next to the fireplace. This is one of my favorite bars in the winter time. The atmosphere is intimate with a good crowd. This authentic Roman restaurant has a strong wine selection and a fireplace that sits in the heart of the restaurant. Grab a glass of wine and order one of the apertivos. Go here order wine and sit by the fireplace. Cheap beer served from a horse-shoe bar, pinball and music video requests on Mondays. 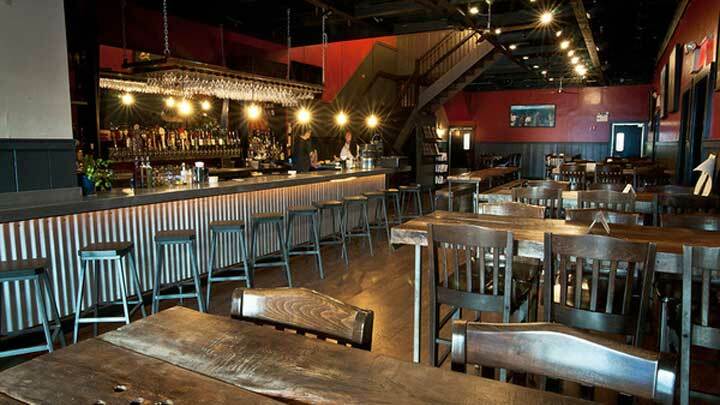 They have a 50 ft mahogany bar where you can belly-up to the bar with plenty of seating and beers on tap. They serve food until 2am. 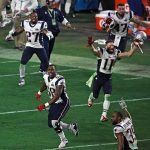 Sunday and Monday nights they have all-you-can-eat wings during NFL games, and all-you-can-drink Narragansett drafts for additional $10. During the week they do a 2-for-1 happy hour until 7pm. They have two full bars, live music, a fire-pit and a taco truck in the backyard.